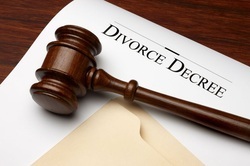 Family law is an area of law dealing with emotional and tumultuous issues. People are going through distress due to the dissolution of their marriage, disputes of child custody, child support issues, division of property, and much more. Often times when people’s emotions get involved it makes it difficult for people to make expeditious & effective decisions because of animosity or emotional wounds. In dealing with family law issues, this can also include matters by a Child Protection Agency (DYFS) upon physical and emotional stability of the family unit. We at the Law Offices of Normay W. Jones are here to be caring professionals who will direct you to make difficult choices and take the best legal course to successfully handle your situation. So whether you are going through a divorce, a tough child custody battle, or simply wish to modify your child support contribution or visitation schedule, please reach out to us so that we can access your case and help you with your family law issues.